The Scott Prospect Goggles give the rider a maximum field of vision due to the extra lens height. Featuring the innovative Scott Lens lock System, the lens is easily changed and stays put in the frame. To avoid slipping, the extra wide strap is silicone coated, which in conjunction with the articulated outriggers results in largely improved helmet integration. 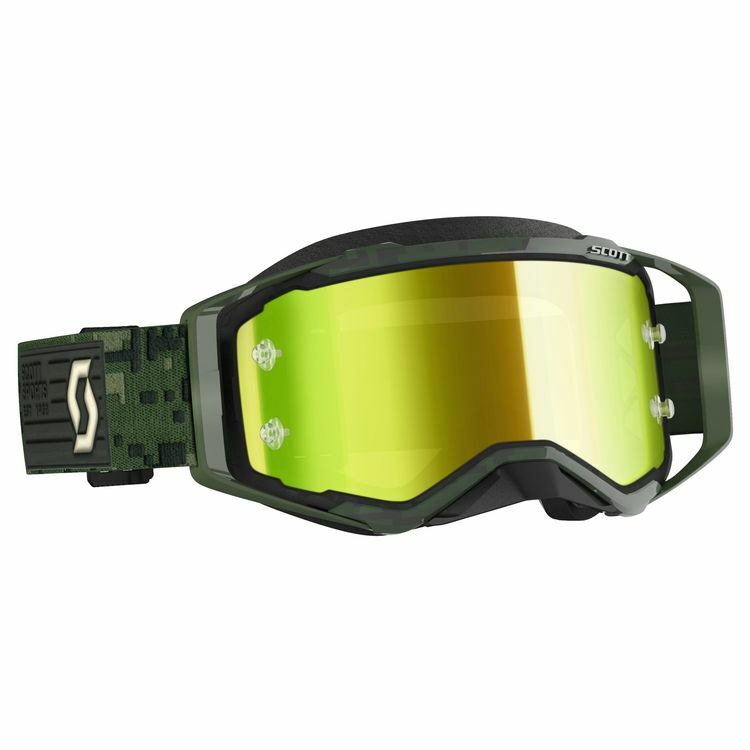 Last but not least, the Scott Prospect Goggles come with a chrome finish lens in the color listed as well as a spare clear lens.